Thanks for visiting The Idea Shop! We’re in the process of getting our website up and running. 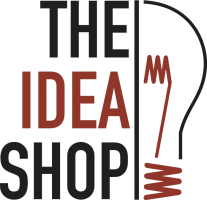 Below is a little bit of information about The Idea Shop and how to contact us. We’d love to hear from you! I = involve. We involve you, our client, and key people within your organization to get a firm grasp of what you are about and where you want to be in the future. D = determine. We work with you to determine who your target audience is – those people who would best benefit from the services and products you have. From that we develop the best message for that group – we think about how you should talk to them. E = educate. At The Idea Shop, we believe in educating the target audience about your product. Education is the best way to build lasting relationships. A = analyze. We analyze how the target audience is responding to the message. Sometimes it takes a while to see results, but they do come! Alternatively, you can contact us using our online form.